Healthvit Testosterone Booster capsule contains extracts of Tribulus terrestris, Ginko Biloba, horny goat weed, and maca root as its ingredients. It helps develop more muscle and assists to build up power and effort ranges. Contains natural and safe ingredients. Helps supply energy to all of the cells of the body. Develops more muscle and assists in building power and effort ranges. 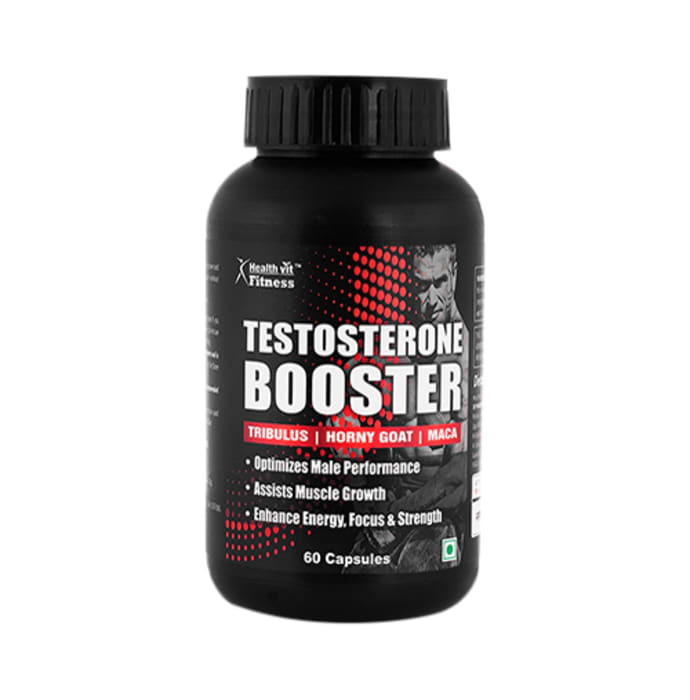 Gives good results while blended with a nutritious diet and secure workout regime. As a dietary supplement take 3 capsules at bed time. 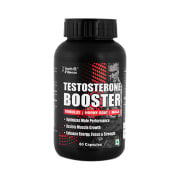 A licensed pharmacy from your nearest location will deliver HealthVit Testosterone Booster Capsule. Once the pharmacy accepts your order, the details of the pharmacy will be shared with you. Acceptance of your order is based on the validity of your prescription and the availability of this medicine.